We are very proud of the World Yoga Center. Decades after we opened our doors in 1972, we are still here at our original address. Only Yoga has been practiced in our beautiful space and the atmosphere here is unusually pristine and serene. 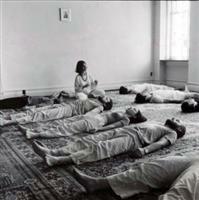 The name ”World Yoga Center” was inspired by the International World Yoga Symposium held in New Delhi, India, in 1970. Our name reminds us that the teachings and practices of Yoga are universal, embrace divisions of East and West, and have become compatible with modern living. Yoga provides transformational knowledge that radically awakens us to the mystery of life. This underlying vision and the deep intention of Yoga sustain the World Yoga Center and drive it forward. 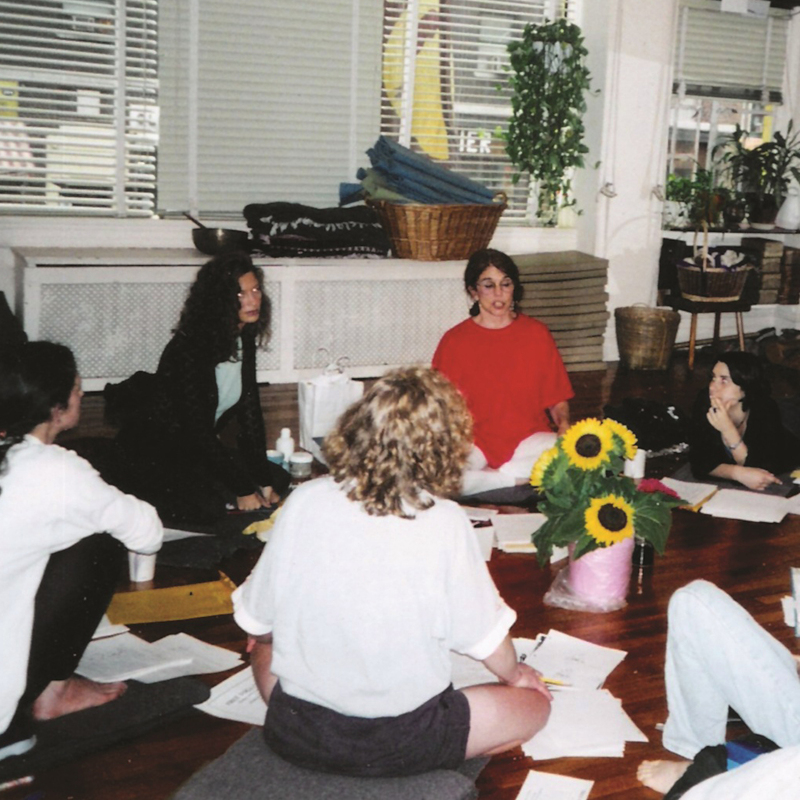 Impacted by the tutelage of teachers of the mystical traditions of the East and extraordinary Western teachers of the consciousness-raising generation of the seventies, Rudrani opened the school with Hatha classes, meditation courses and retreats in the style of Integral Yoga. In 1974, Rudrani met her spiritual teacher whose teachings and practices revolutionized her outlook and impacted the very core of her life bringing new inner experiences that transformed the school’s curriculum, deepened its intention, and created a lasting relationship with the spiritual power of the Siddha lineage. The extraordinary and ancient path of inner awakening enriched the school and brought the community to new levels of awareness. The World Yoga Center launched its first successful teacher training. The school continues to train spiritually dedicated teachers known for their comprehensive background and superlative ability. Our teacher trainings include transformational work on the ego, rigorous practices and powerful transmission of the wisdom of Yoga, inspiring graduates to offer heartfelt service to the world. The World Yoga Center chose Anusara Yoga as its method of Hatha Yoga as it includes a strong foundation in the Tantric philosophy of unity awareness and fosters an inner opening to infinite energies within oneself. Teachings emanating from Anusara Yoga are based on the ancient philosophies of the Shaivite tradition of Kashmir. This method of hatha yoga circulates refined energy through the inner body with clear, natural alignment, attention to anatomical detail and an integration of the whole self. 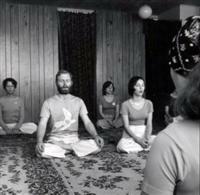 The World Yoga Center became a Yoga Alliance registered teacher training school. Rudrani created a dynamic and creative teaching team with Jackie Prete, Certified Anusara Yoga Instructor establishing the World Yoga Center Special Programs. These programs include teacher trainings, immersions, workshops, retreats, and Kirtans. Read more about Jackie and Rudrani. These programs carry the vision and practices that illuminate the heart of the World Yoga Center. The school continues to flourish with a rich array of weekly classes taught by our gifted faculty. Its intention remains: for students to discover their authentic self through a variety of practices. Our community evolves together, learning from one another in a climate of friendship and higher purpose. The school is known for its atmosphere of unconditional love and vibrant “Shakti” (conscious energy) and offers students the support of work study, mentoring and individual counseling. The school has never been an ordinary business with profit as its primary goal- our teachers and staff enjoy right livelihood, here… From the beginning in 1972 it has been a place dedicated to serving the highest within people and spreading love in the world. We shine as a team in shared service to our students without making any one teacher predominate. We are grateful to the World Yoga Center student body for their dedication, respect for the practices and admirable efforts to evolve on the path of Yoga over four decades. 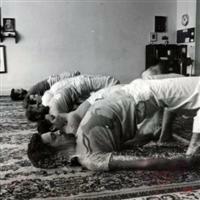 Without them, there would be no World Yoga Center.